A windy, cold, dull day created this unusual effect – or did you have to be there to see it? I had big dreams of capturing amazing photos of a fox, lynx, owl and bugling elk. Why not? I was spending three days in a place where these wonderful creatures live and it was the right time of year for bugling elk! Even a realist can sometimes hope! The initial excitement eased a bit as the kilometres, hours and days drifted by. The near misses added up. I found a bugling bull elk in near total darkness, a fox disappeared into the brush leaving no evidence on the grassy photo, one osprey flew by at the speed of a fighter jet, a great blue must have thot I would infect it with Ebola from 80 yards away and I somehow managed to drive by the same grouse twice. The owls, bears and lynx were apparently crossing someone else’s path. I tried for the exotic but merely added to my butts, ducks and geese collection. The whole thing reminded me of one of my favourite quotes, proclaimed in another era. The sentiment always brings a smile to my face! I feel sorry for the optimists who will never be able to fully appreciate the richness of the humour. My trip would not produce the dream photos. Another instalment of life turning out different than I hoped. Yet the experience was still most enjoyable despite my wildlife focus. I’m not sure if this sprung from the black humour, stunning scenery or just drinking up the fall air. I walked along fall-coloured, forest paths that no images or words could fully capture. I sat in my lawn chair and watched the warm sun peacefully set on a calm lake. I remembered how much my dad liked being in that wonderful place. I enjoyed the pure luxury of soaking up beauty alone, with only natural sights and sounds. I ate Fibre 1 cereal on a picnic table in refreshing 6C air and it was good. I sat on the forest floor watching a river pond and let creative juices flow. So I guess I could say that, things pretty much turned out like they always do. Looking out for the other bull that broke his antler. Smart phone users – unfortunately with this new design some smart phone users are unable to make comments. WordPress is still working on it. From what I can tell, there doesn’t seem to be a problem with commenting from computers or tablets. Please let me know if you notice anything else lyle@krahnpix.com – I’m still working my way through the redesign. Since I was a kid I love geese. So this is one of my favourite posts. 🙂 Nice portraits and beautiful photos of birds in flight. There was a lot of bull there! Glad you liked it and stopped by to check it out. All kidding aside, I feel fortunate for every wildlife encounter and happy to be able to record so many. I felt relaxed just reading your post. Sounds wonderful, despite the failed expectations. Beautiful photos as usual. Thanks for sharing! It was relaxing in so many ways so I’m glad you felt that. It was a wonderful trip and I’m happy for the photos. I have to learn to deal better with expectations that aren’t met and this trip was a good step. I guess it’s fine to feel a bit disappointed every now and then, as long as we realize afterwards that we actually got something good out of it anyway (if we did). I’m still no optimist, which made me all the more happy to notice that I can comment on your blog again! I’m pleased too. The bugs are getting worked out of this new design. I don’t get accused of being an optimist too often. Your narrative was so compelling that I actually believed that you had come back empty-handed, until I saw that shot of the elk. I would not make a good fish–I get reeled in too easily. I’m glad to hear the story was compelling. I was trying to draw together a bunch of ideas and I wasn’t entirely sure the glue was strong enough to keep it all together. What a delight it is to savor the work of a highly skilled nature photographer Lyle. It’s images like that magnificent elk of yours that’s so well composed, in sharp focus, set against a beautiful background and with sparkling light in the eyes that all of us hope/pray for. And truly my friend, this is yet another example of your exceptional talent. Thank you for the joy of experiencing more of your work. Your comments are always a joy to receive. After taking so many photos it’s nice when all the things you mentioned start to come together. I hope you have a great week. You are absolutely right about the grumbling! I don’t make my life easy. I am honoured that you are keeping a favourite ranking on my photos. That elk shot surprised me a bit. If I’d known the full potential, I would have stayed longer with it for more shots. Instead I dashed off to find a bulging elk which never materialized. Well nature sure gave you some winners but you were already ahead of the game just being out and having a terrific day. So that’s where that expression win-win came from. Thank you for taking us on the trip with you. I am glad that you enjoyed the fiber 1 cereal. And the photo of the elk is epic. Nice shot. It’s much easier to keep the milk cold in the cereal on cooler days. Glad you liked the elk – fall colours make everything better. Take what the defense gives you, or as seems to be growing in popularity, when life gives you lemons…well, you know the rest. I am afraid that I am an optimist….I always believe something good will present itself to my lens. It’s not always what I had in mind, but as you expressed sitting by the lake, being in nature is itself a great way to spend some time. Nothing to be afraid of there. I wish some of your optimism would rub off. It is surprising what shows up when I’m looking for something else. I can see the wind blowing in the first picture. Glad you found the wind and yes the new design is more subtle. Beautiful photos, as always, Lyle, especially that bull elk! But I would expect nothing less from you. 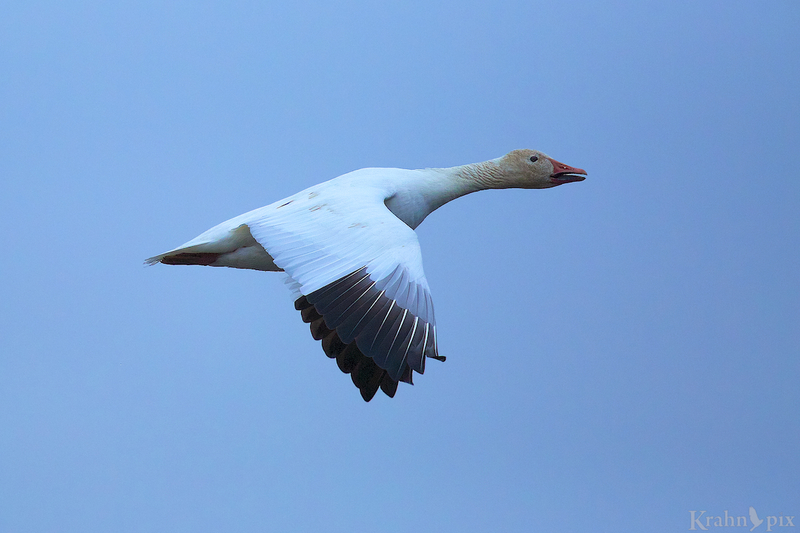 The feeling in the first snow goose photo reminds me of the far end of Cape Cod and the wilder parts of the eastern shore. One of those places from back east I miss, and have not seen in 11 years now. Visuals can stimulate such powerful memories. I guess that’s one of the reasons I like them so much. Driving down familiar roads I remember the animals I have seen in particular spots. Hopefully you get to see those wild places again. Could it be that the ‘smart’ phone users aren’t ‘smart’ enough to find the cartoon bubble? Then again, maybe not. I’m glad it works with your phone. Apparently it’s an issue with some and not others. My phone being one of the some. Funny! A few ruffled feathers now then just show you have a little spirit! Those fields of white are quite the scene. Sono foto semplicemente fantastiche, che meraviglia!!! Sono contento che ti sia piaciuto loro! Apprezzo i commenti.